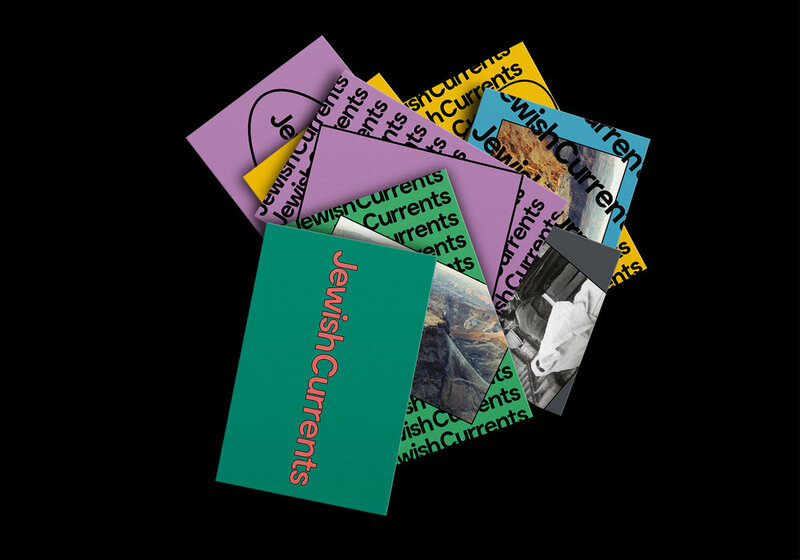 Jewish Currents is a 'progressive, secular voice' in the Jewish community, founded in 1946. While the content still resonated with a new wave of younger readers, the overall look of the magazine had become dated. They needed to increase their readership and reach millennials if they were going to keep their long tradition alive. Cerebral literary content needed to be balanced with an approachable eccentricity. To make the new identity more inviting, we created a custom palette of highly saturated colors, and set everything in Moderat (Tightype foundry). The personality of the typeface in this context provides a lovable dissonance with the often-serious editorial.